In fact they are already here. There are already nearly 100 thousand in the US alone*. Style icon and screen heart-thob George Clooney drives one, so they are even cool! Electric cars are a great way to green up your motoring. There's more choice than ever before and almost every motor manufacturer is scrambling to get on board. So how green are they? What are the benefits and what are the downsides of EV cars? This page takes a broad brush approach to this relatively new and growing market. While EV cars will almost certainly find a role in local transport, the day when they take over from petrol cars seems far away. * This figure does include small vehicles not designed for public roads. EV Cars - what are they? EV cars are just cars which run solely on electricity (EV = electric vehicle). The electricity is stored in a battery and the car needs to be plugged in to charge up the battery every so often. Electric vehicles are not really new but recent technological developments mean that more new models are available today. EVs represent one way of reducing our burden on the planet because they are cleaner than petrol and diesel cars. Their carbon emissions are much lower, too. But of course it's not quite this simple! Click here if you want to read about electric cars available from 2009 onwards. They are cleaner at the point of use, first and foremost. There are virtually no emissions at street level, so they leave no direct pollution. They still do cause some pollution, of course because most electricity is generated from polluting hydro-carbons such as coal. Nevertheless, most environmentalists agree that they are an advance upon the petrol engine. Some power stations are gradually becoming greener as more ways are developed of sourcing "green energy", that is energy with a low carbon footprint and lower polluting emissions. On average, green EV cars are thought to create about 40% less greenhouse gases than petrol models, taking all aspects into consideration (manufacture, power station emissions, etc). Nevertheless, the battle for clean energy is far from over; the majority of electricity generation is still from highly polluting coal-fired plants. Nuclear power is not as clean as our governments would have us believe. The radioactive waste produced by nuclear power stations is a long term storage problem which will remain potentially dangerous for generations to come. The other main advantage is that they are amazingly cheap to run. If you are used to seeing a big percentage of your take-home pay disappearing into the petrol tank into your car, take a look at the cost benefits of EV cars. A simple overnight charge costing a few pence or cents could get you to work and back and take you to the supermarket or farmers' market and still allow you to enjoy an evening in town. Well that's if you don't live miles from your nearest town or your workplace. Which brings us to the main disadvantage of electric cars. The main disadvantage as things stand is that most EVs are very limited as to distance travelled between charges. You cannot be buzzing about in your EV and just decide at the drop of a hat to take off for the coast. You will probably run out of steam - or rather, charge. Most EVs do around 40 - 60 miles per charge so you have to know what you are doing in advance and stick to it. Public plug-in points are being developed and you might well be able to charge up at work or a friend's house, for example but the truth is, at the moment EVs are strictly limited by their battery charge life. And the number of public charging points is still rather limited in all but a handful of big cities. Most batteries typically take about 6 hours or more to charge, though you can often do a booster charge quite quickly on some of the newer models. And some new EV cars have a markedly better charge time. The Tango, for example can do an 80% charge in 10 minutes flat! (But they are not so easy to come by, just yet - and that's still nothing like as fast as filling up with gasoline.) Most cheaper models need at least three hours to charge up. Traditional lead-acid cell batteries can only manage 100 kms of travel-power at best, so now alternatives are being sought. Nickel metal-hydride (Ni-MH) and lithium-ion (Li-Ion) cell batteries are now frequently used by the newer EVs on the market. They are expensive to replace but should last around eight years. The elephant in the room is that despite some subsidies and government incentives, electric cars are still not cheap. Maybe as other factors improve and the market expands, more affordable models will be created. 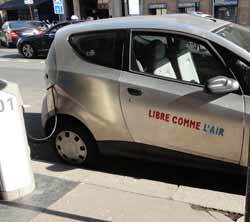 A second hand market should also become more visible for EV cars. Because of doubts about the expense of replacement batteries, electric cars are quite likely to not hold their price very well. Battery replacement is a specialist job partly because of the weight of the batteries. Some models have batteries which are guaranteed for as much as five years. At the moment, brand new electric cars tend to be rather more expensive than comparable petrol models. This, together with concerns about running out of steam (well, charge, I should say) is probably why electric cars are still not out-competing conventional models. There are no gears and few moving parts on an EV car, so they are beautifully quiet to drive. The downside of that, of course, is that pedestrians are used to listening for cars as much as looking. Most small electric cars designed for city driving only go up to about 50 mph, so you may a bit out-classed on urban freeways and more rural roads. Nitrogen oxides and sulphur oxides, the polluting gases from power stations, can actually be increased due to electric cars. This is because these gases are released during the generation of electricity by polluting means such as gas, coal and oil. Of course, if you are able to use green energy to power your car, this does not apply. If you can switch to a green energy supplier your electric car can be almost 100% carbon neutral - as well as free of polluting emissions on the street. Lithium (Li-ion) batteries are difficult and expensive to recycle effectively as they contain toxic metals. Re-processing facilities are less than adequate - even non existent in some countries. However, most of these batteries should last for 100,000 miles or more. Lithium-ion batteries have been criticised because they are more inflammable than standard batteries - but I believe this hazard is already being addressed with new technology in their manufacture. OK, that's the disadvantages taken care of. Here are quite a few more advantages, mainly, but not all, to do with the big advantage: running costs. The power-train used by EVs suit the stop start conditions of urban traffic. EVs are particularly energy efficient at this kind of travel as compared to petrol and diesel cars. Some EV cars also use regenerative braking, just like hybrid cars. This means that every time the brakes are applied the battery charges up some. This can mean as much as 20% more efficiency. Some of the newer EV cars are able to close down entirely whenever the car is stationary. This is highly efficient and quite safe. As soon as the accelerator is pressed the car comes back to life. This saves more energy. In the UK EVs are zero rated for road tax and there are other savings: no congestion charge in central London, free or cheaper parking in some areas, free charge points, to name a few. There are already dozens of public charge points in central London. Here is another fantastic advantage of electric cars! The insurance is generally cheap. Car insurance for electric cars is not yet widely available from the mainstream insurance organisations. The outlet which sells you a EV car should be able to advise you. In the UK PlugInsure offers car insurance for electric models. The insurance band is generally band 3 (very low). Please see Green car insurance for a discussion of available options. With far fewer mechanical parts and no spark plugs and oil to be changed, maintenance tends to be a whole lot cheaper. Some companies do an annual deal to cover all mechanical servicing and repairs for a relatively low all-in price. The disadvantage of short-distances between charges is sure to be overcome; already there is the Tesla which can manage up to 200 kilometres between charges. The Rav4 does over one hundred. 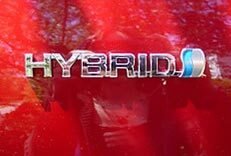 You can also get around this problem by considering an HEV - a hybrid electric vehicle (such as the Toyota Prius or the Honda Insight). A Chinese car, the F3DM is a relatively new entrant to the market. It is an electric car with a small petrol assist motor - a new take on the HEV! The roll out of the model in the US has been delayed so far by a lack of charging infrastructure. EV cars are typically a lot lighter than conventional cars. However, the batteries are heavy - about 300 kilos. You can't really remove them at home. You must plug the car in where it stands to charge up. A normal plug socket can be used. For charging away from home special sockets are needed in car parks and on streets. A full charge literally only costs a few pence for most electric cars. Even some workplaces now have charge points. It is possible that we may see more EV cars in the near future as the price of oil rises and as more and more motor manufacturers cotton on to the benefits of EVs. However the issue of running distance between charges has still not been fully solved. Any extra drain on the battery - lights, windscreen wipers, hilly roads - can make a huge difference to the distance between charges. The most likely scenario is that they will be used by city authorities to save money on known routes and where re-charging opportunities are well provided. There is still little sign so far of motorists switching en masse to EV cars. The problem of an adequate charging infrastructure remains an obstacle to wider adoption. In the wake of the recent gas price rises it seems hard to believe that only a few years ago Toyota and other manufacturers were trying to kill their own EV cars! The Rav4 was taken out of production and some electric cars were even crushed. Thanks to an innovative campaign by Don'tCrush.com the motor giants backed down. Learn more at Plug In America. EV cars have been around for about a century. Whether electric vehicles will become future transport in a big way remains in doubt. Nevertheless, electric cars do have their fans and car clubs devoted to their use and sharing best practice have sprung up in some areas. The biggest obstacles to widespread adoption seem to be price and distance reliability.